Another azure day over Guichen Bay and the Robe Hotel (photo: Fleur Bainger). It can be cold and windy, but look just under the surface and it’s not hard to see why people are drawn to this coastal town and never leave (words and photography: Fleur Bainger). On one hand, the South Australian fishing village of Robe has an awful lot going against it. Seen through a particular turn of the kaleidoscope, it’s hard to understand why anyone would want to go there. Schizophrenic weather, ocean temperatures of the ice-cream-headache variety and some of the country’s most expensive seafood are rather large stumbling blocks for a beach escape. But when the coloured gems slide into place, an altogether different image emerges. And like a perfectly symmetrical pattern, it has you in one breath. 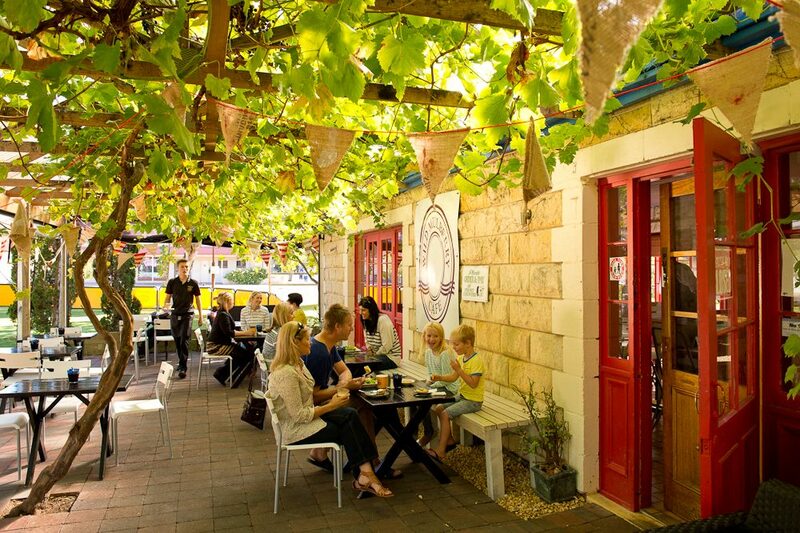 The tiny, beach-rimmed town, which sprawls over craggy heads and rugged limestone cliffs in the state’s south east, sits neatly between Adelaide and Melbourne on what could be described as a peninsula. Locals rightly joke it’s “almost an island”; the sole road in and out twists around freshwater lakes, leading to a wide main street and its motley crew of businesses. The bitumen continues past Front Beach’s sandy smile and runs along expansive Guichen Bay, which, on the right day, glows a magnificent highlighter blue. And when that icy wind stops – which it often does, to be fair – and the sun illuminates the town’s rows of 1850s pale stone, heritage-listed buildings, Robe spellbinds. By evening her lighthouse twinkles as the entire sky blushes. Car headlights flicker as sand-combers cruise along Long Beach’s firm, 17 kilometre stretch (open to cars since 1925), and wetsuited surfers load their boards, shaking salt from their hair. Everybody undoubtedly ends up at one of Robe’s two pubs, divided by the bowls club and a line of Norfolk pines. And when, one day, you stop in and clutch a cold SA beer, you’ll realise there’s quite honestly no place you’d rather be. A straw poll census of the town’s population is evidence enough of Robe’s gravitational pull. Of the 1500 residents (a mere fraction of the summer crowd) there are countless stories of those who felt such a coup-de-foudre during their brief encounter with Robe, they returned to put down stumps. Talk to a few ‘locals’ and you’ll find that making a split decision to stay is far more often the rule than the exception. And for good reason: the Australian Unity Wellbeing Index has described Robe as one of the happiest places in the country. Neil and wife Mary Evans visited nearly every town in Australia before settling in Robe 14 years ago. Once regulars on the carnival circuit, Neil’s gig as a caricature artist – painting backdrops for the ghost train, say – shines through their flamboyant store, where they make about 45 flavours from scratch (think Tim Tam, Jaffa and salted caramel). Itinerants at heart, it took something special to ground them. The couple represent the quirkiness of Robe’s inhabitants. Four years ago they became so enthusiastic about making their own sorbet and ice-cream that their operations engulfed the home kitchen. Rather than move the facilities, the pair relocated to another house. Down the road, Latvian beer brewer Maris Biezaitis is serving small-batch, olde-worlde ale in the town’s rustic book cafe. He and his family came to Robe to help renovate a house four years ago. They never left. In July, Biezaitis opened a microbrewery on Robe’s outskirts named after the original Robe Town Brewery, which prospered in the 1860s. Lifting techniques from that era, the former journalist creates a porridge of malted barley in wooden wine barrels, boiling the beer in large, wood-fired kettles and using local fruits, berries and herbs. “I’m using a bed of hay for filtration, I’m doing open fermentation and natural carbonation,” he says. Visitors to the neighbouring Cape Jaffa wine region can drop in, post-quaff, to watch the process, and savour the new libation he’s just developed, called Shearer’s Joy. In a different part of the town’s backblocks hides a Mexican-inspired party haven named The Cantina. Part art installation, part shanty-shack, its driftwood-coated walls, rows of broken surfboards and trunk bench seats were fashioned by local surfer and hot-sauce maker, Tom Davidson. At unpredictable times, he hosts free music concerts, festivals and get-togethers, funded by the bottle recycling from each previous event. 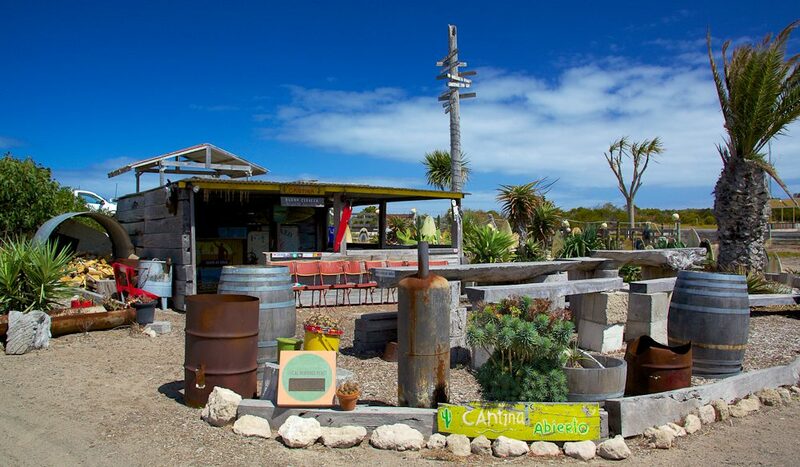 “It’s one of those places where you don’t really need an invite as long as you come with a good attitude and a story to tell,” says Tom, who returned to Robe from the US in 2010, and is lauded for his Cantina Kick sauce, found in all the town’s eateries. “If there’s enough people showing interest we turn the lights on.” When events are happening, word spreads fast. Charlie Bainger (my brother, incidentally), is a regular. The tanned surf instructor and farmer shone a light on the community during his stint as a TV lothario on When Love Comes To Town. His motivation – he says – came from the need to spread the word on Robe, moreso than finding a partner. “You’ve got a playground that people dream of, all to yourself,” he says. “Instead of it being a postcard every day, it’s so seasonal. You see the change in nature, all these wildflowers bloom; there’s a warmth in the air in spring. Rather than live in the sprawling family farm homestead, Charlie has opted for a shack facing the water. Clearly, he’s sold. It’s a story artist and unofficial town mascot Terry Johnson knows well. Hailing from Ohio, USA, Terry and wife Nancy discovered Robe after planned accommodation in Victoria’s Grampians was booked out. That was 34 years ago. “We had 55 friends come to stay with us in the first year. That’s the allure of Robe,” he says. Even at $85–$110 a kilogram, for a sliver of the annual 350-tonne catch. Economise instead with fish and chips, wrapped in butcher’s paper for about $8. 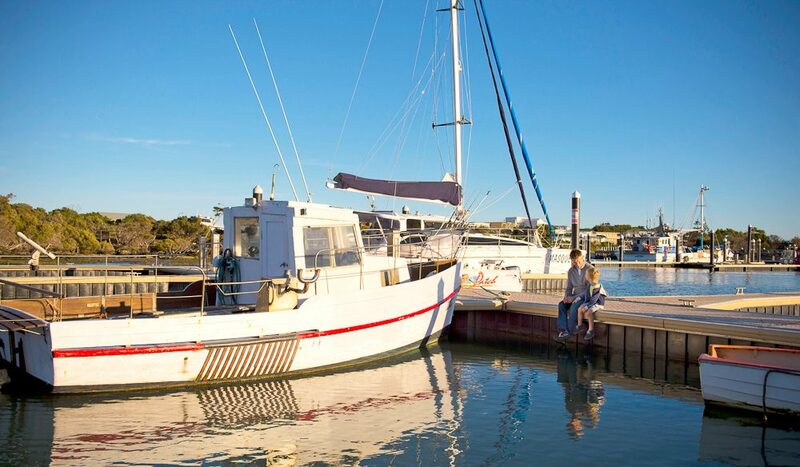 The couple maintain cult-status gallery Wilsons at Robe and now split their time between Robe and Port Douglas. 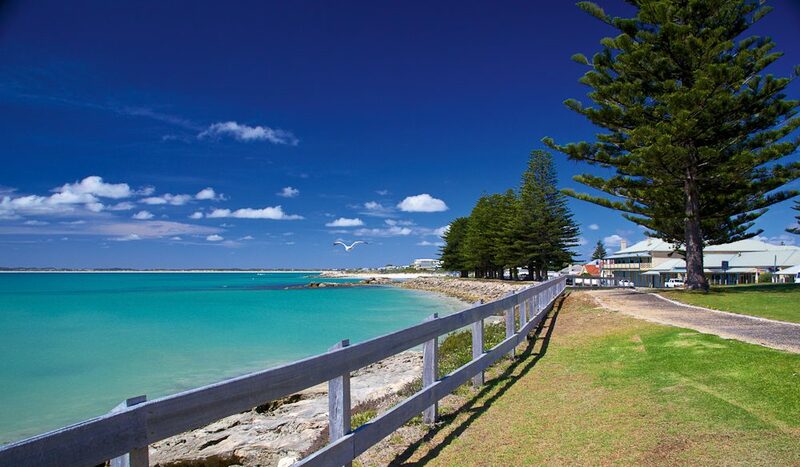 Even the sunshine of Queensland can’t get them to forfeit their place in this tiny Limestone Coast town. “The environment is beautiful and pristine and, as an artist, the light here is fantastic,” Terry says. He notes that Robe’s Antarctic-direct currents should be a handicap, but somehow, they’re not. 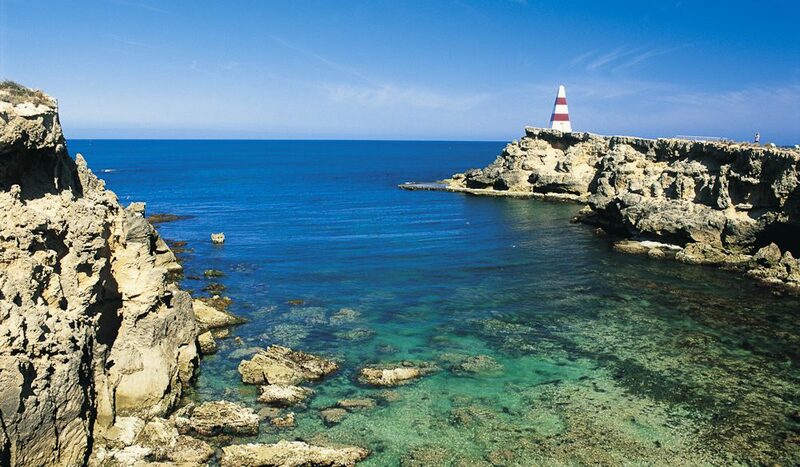 Get there: The drive to Robe is about 335 kilometres from Adelaide and 520 kilometres from Melbourne. Stay there: Holiday homes can be rented from robelifestyle.com.au and happyshack.com.au; there’s also the Best Western Melaleuca Motel & Apartments, 20 Smillie Street, the Harbour View Hotel, 2 Sturt St, and plenty of good B&Bs.